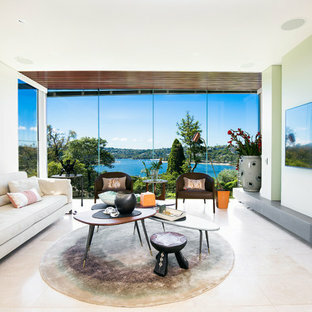 A living room, often referred to as a lounge room in Australia and New Zealand, is the hub of the home. If you only have one living room in the house, it’s likely to serve multiple purposes: be it a place to watch TV, play games, spend quality time with family or hang out with friends. If you have the luxury of two living areas, one is usually a formal living room or lounge room, reserved for reading, relaxing and entertaining. A successful living room design is inviting, has enough seating for the whole clan – a comfortable couch is a must – and encourages conversation. 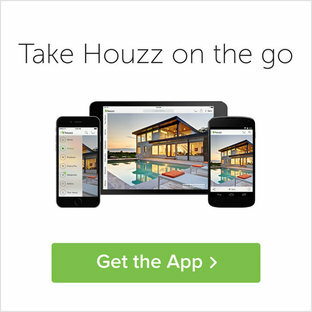 Browse photos on Houzz for living room layouts, furniture and decor, and strike up a conversation with the interior designers or architects of your favourite picks. 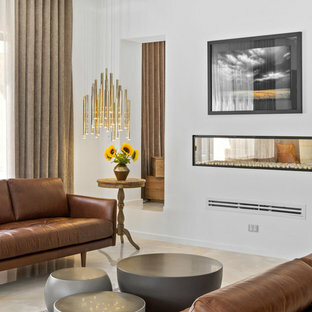 For even more living room ideas, check out the Stories section on Houzz. Which living room layouts will work best for you? Every living area will have design challenges. 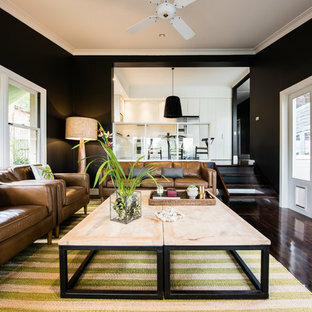 A long, narrow lounge room, for example, risks looking like a hallway if furniture is lined up against the walls. Instead, opt for small furniture items, like a cosy two-seater couch, and create various focal points throughout the space. In square living rooms, a symmetrical layout encourages a formal setting. Place seating on either side of the room, with a focal point in the middle to pull the room together. For a truly intimate vibe, replace your couch with some occasional chairs positioned around a coffee table or ottoman. This will make the main focus conversation. An open-plan home – one where the lines are blurred between kitchen, dining and living – may require a layout that focuses on definition. You’ll want to make sure furniture doesn’t block the flow between spaces, and instead use something like an area rug to create zones. How can you decorate your living room? The living room can be a place in which to show off your personality, but if you want a timeless living room scheme, stick to neutral walls, couches and ottomans. Colour can be added through accessories, and is a lot more interchangeable! 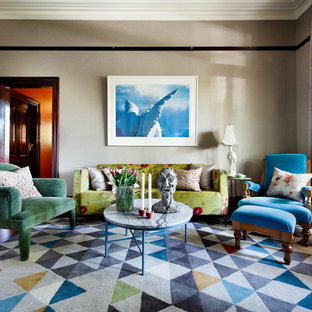 Rugs, cushions and throws are great for adding colour, while mirrors, lamps and ceiling lights will set the mood. Make your living room unique by including family heirlooms and photos. For a polished look, try creating a coffee table vignette – you could use books as pedestals or group items together on a tray. Try adding a vase, a mixture of round and rectangular objects and some books. What are some small living room ideas? Small living room designs can be tricky to work with, but aren’t doomed to fail. Often, you just have to get creative with furniture. An open-back chaise can create a sense of spaciousness, while small side tables paired together can substitute a coffee table. Even better, an ottoman can be used as a footrest, coffee table or extra seating. Big furniture items like the couch are best kept in light colours, and if there’s room for a coffee table, a glass-top one is best. 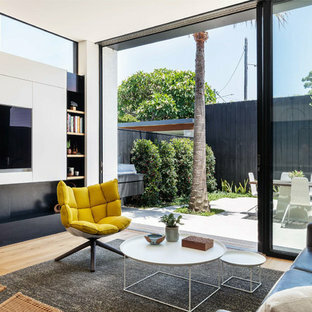 If you have two spaces in one – perhaps your living room sits in front of a single-wall kitchen – make sure they are connected by decor, colour and style. For definition, just add area rugs, or use your couch as a dividing wall. It’s worth having a few furniture pieces, whether a bookshelf, couch or entertainment unit, in the same colour as the walls, too, so they blend into the room and visually expand the space. Is open-plan living for you? Today’s homes often embrace open-plan living, whereby the living room runs off the kitchen and/or dining areas. 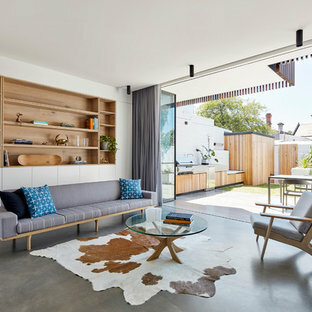 Open-plan living allows greater functionality, but can risk creating a vast, soulless space if not done right. To avoid a cavernous feel in an open-plan design, define areas with furniture, rugs and lighting, or consider using a wall divider. Also be sure to keep flooring, lighting and materials consistent throughout, for cohesiveness. Noise may be an issue – someone banging pots and pans while you’re watching TV, for example – so include lots of soft furnishings, such as rugs, curtains and couches to help absorb the noise. You will also need to factor in plenty of storage, so mess is kept at bay. 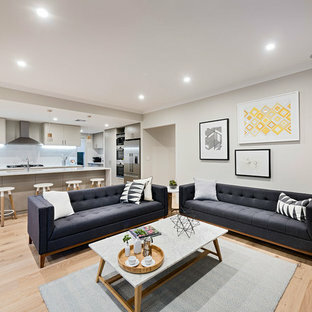 Lounge as displayed at Aston Estate, Craigieburn.